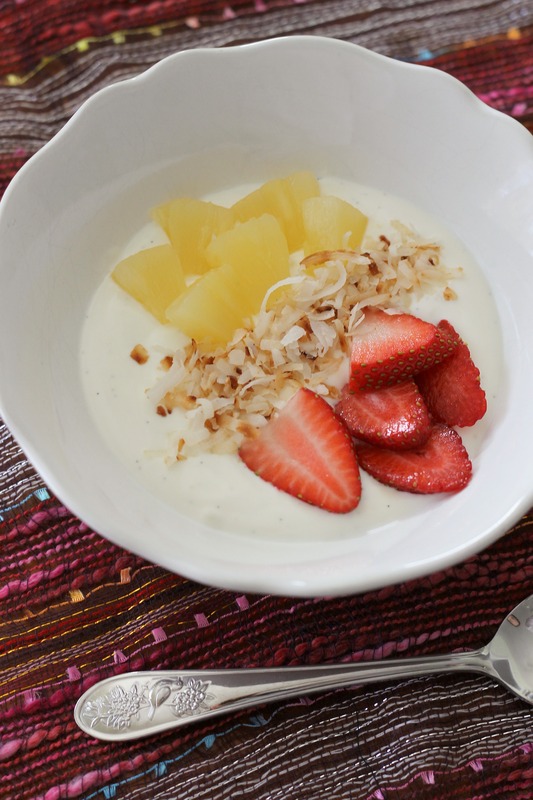 In a medium bowl, whisk together the yogurt, heavy cream, vanilla bean, zest, and honey until the mixture has thickened a bit. 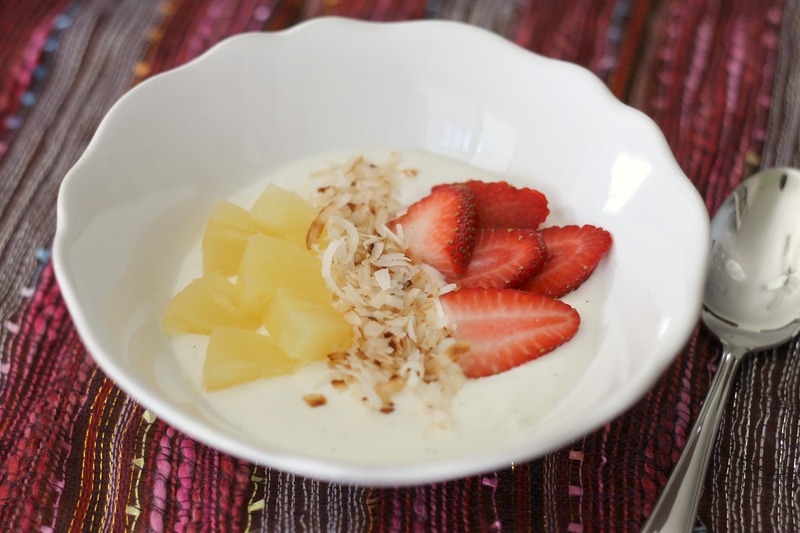 Serve in bowls topped with fruit and toasted coconut. Enjoy! This was a very lovely breakfast!